We at StyleMutt love supporting others in our design community, so today, we have quite the treat! 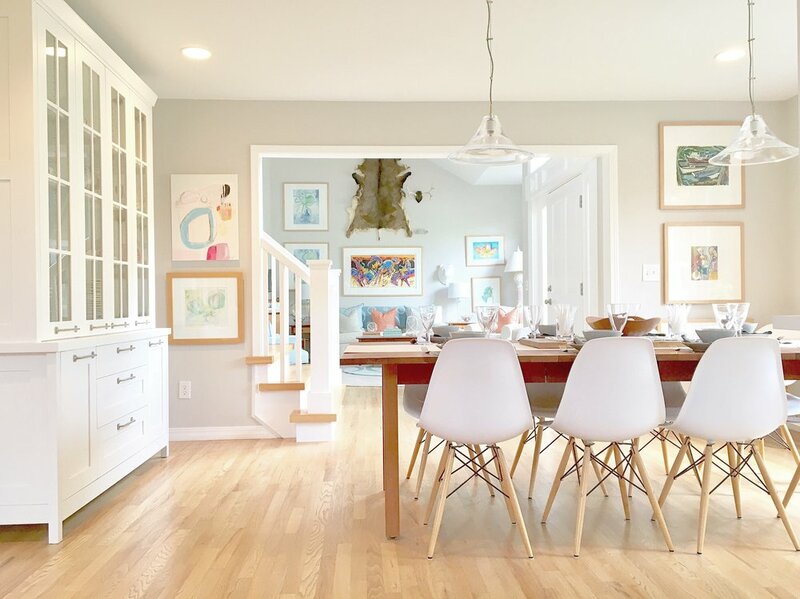 We're touring the home of Elizabeth Bear, a designer based in Colorado. Elizabeth started her business with the encouragement of her friends; as they watched what she did with her own home, they encouraged her to bring her services to others. It's a story that many of us know well but few have the courage to act on. What started as a barrette and accessory business in 2003, after Elizabeth left the corporate world, soon became a full-time job. It grew to artwork, pillows, pillowcases, and placemats, all handmade by Elizabeth. Her business took off from there, with her style evolving as life led her through twists and turns of its own. I got married a few years after college and our home had things given to us from our families all of which were more traditional, sprinkled in with things we purchased that were more contemporary. After my husband passed away unexpectedly four years later, I sold my house and everything in it that didn’t speak to my soul. I only kept my favorite things. I renovated a three-story townhouse taking it from dated and old to modern and bright and it only contained the things I love. It truly felt like me. Her home is a reflection of everything life has brought her, and it's a stunningly beautiful reflection indeed. She's created a home that is natural, intentional, intuitive, and warm. It's a 'Goldilocks' home - not too much, not too little, but just right. There are clean lines mixed with nostalgic pieces, and everything is functional. 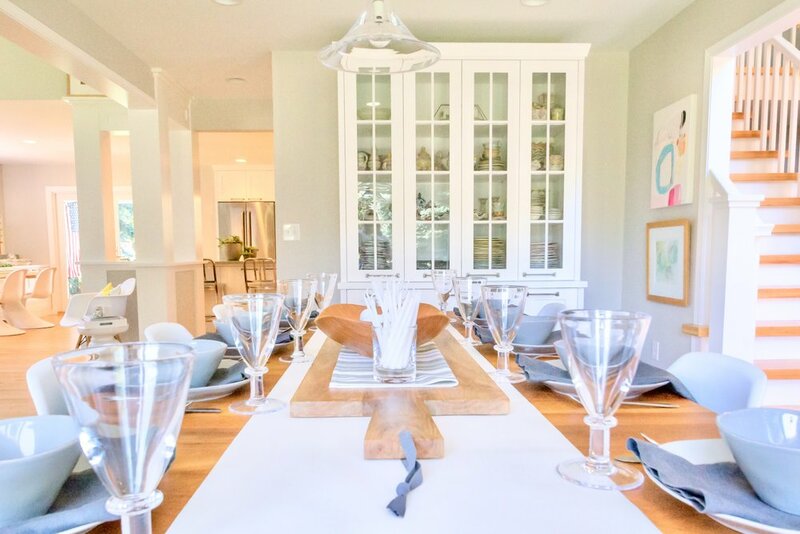 In the dining room, the freestanding white hutch steals the show. It opens right into Elizabeth's biggest splurge and the heart of the home - the kitchen. It's a home that's made for memories. And Elizabeth, we are so honored to share it with you! Thank you for showing us around - and congratulations on the home you've made and the business you've built. Find more about Elizabeth on her site and on Instagram @elizabethbeardesigns.